For this project, the client desired a custom designed outdoor workspace that would be separate from her home, where she could focus on her accounting business. 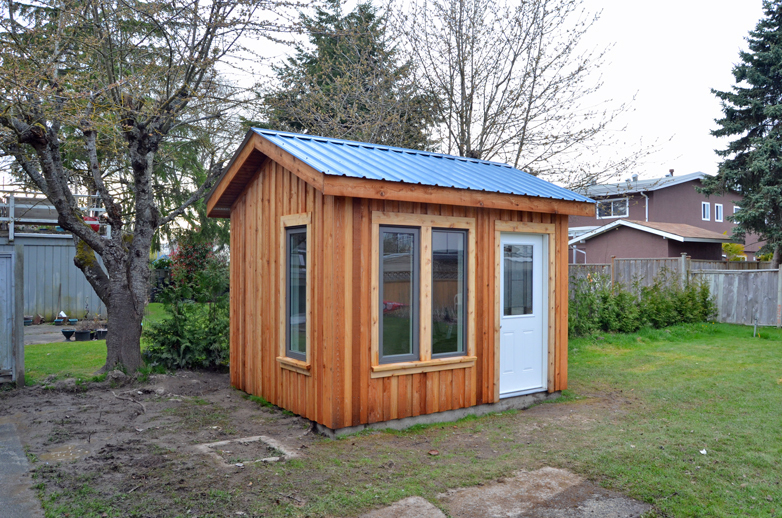 The design of this small building incorporates a number of windows and a door with glass to allow the primary lighting source to be natural. The floor plan, which dictated the exterior dimensions of the building was designed to the optimum dimensions for office furniture. The exterior of this building is clad in cedar with a board & batten style. 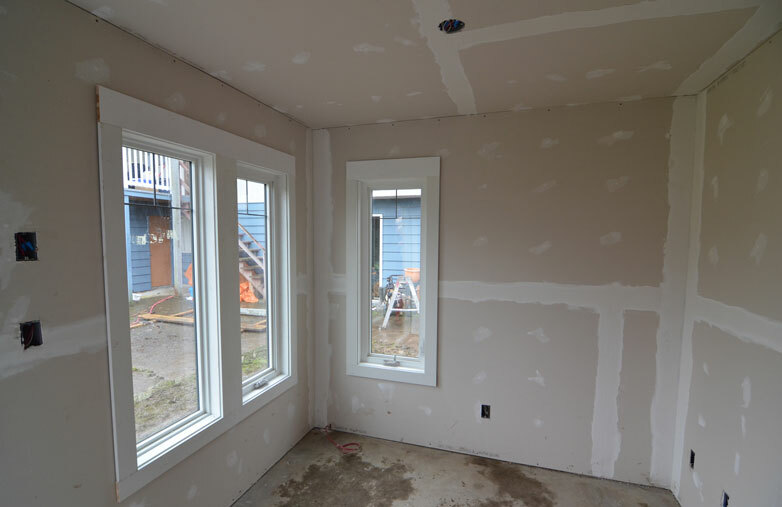 This building features casement windows, a long lasting metal roof, a 10 inch slab foundation with re-bar, insulated and finished walls, a hardwood floor, electricity, heat, internet and a telephone line.